Based in Bessbrook, Co Down, Northern Ireland, M & M Cakes create exquisite and distinctive wedding cakes. We will produce a unique design to meet your specifications, whether contemporary, classical or elegant. Every beautiful wedding cake is made with the ultimate attention to detail. You can choose your design from Majella's portfolios or let her create a cake unique to you. We provide a personal and friendly service, from one-to-one design consultation, right through to wedding cake delivery and set-up. We believe all Wedding cakes should not only look stunning, they should taste delicious too. Only the finest ingredients and a wide choice of our own recipes are used. We are renowned for our range of luxury Belgian chocolate cakes, which include; fudge, malteaser, baileys, mint aero, cointreau and caramel. However, we also offer a range of other cake flavours including traditional rich fruit, lemon or raspberry and cream Genoese, chocolate biscuit cake, coconut and Malibu, citrus madeira and carrot cake to name but a few. In addition to wedding cakes, we also offer our customers a wide range of celebration and occasion cakes. 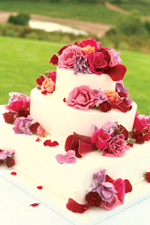 All our cakes can be complimented with our Exquisite hand-crafted sugar flowers. However, if you don't see what you're looking for, the chances are that we can still make it for you. 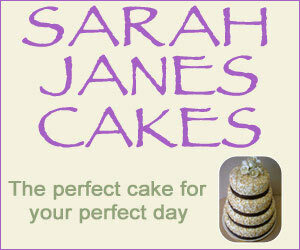 We are renowned for our fantastic tasting cakes, and numerous designs. But please don't take our word for it, call in and see what past customers have sampled, and you'll see why we're well known for what we do. 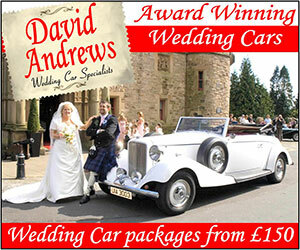 All wedding cakes can be delivered and set up at your chosen venue. Cakes can be delivered locally free of charge, all other areas, however, will incur a delivery charge. You can contact us for a 'no obligation' quote for any design, style or theme from our range of cakes, or let us help you create a stunning Wedding Cake to suit your theme and budget to perfection. Evening or weekend appointments are available for a no-obligation consultation. Contact Majella Martin on 02830839210 or 07526620332. "M and M Cakes, 1 Church View. Cakes in Northern Ireland"